mtg held in the Constance Jordan room. We will cover all aspects of emergency preparedness. Interested in teaching a segment…message me…we are always looking for speakers. Family friendly event, snacks provided…taste test various freeze dried food. FREE class…free will donations accepted. Before I discuss what we will be doing I wanted to talk a little about us. 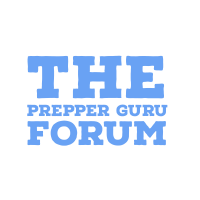 We are a group of preppers who are centered around learning skills for self reliance. We meet at least once a month on the southside of Indianapolis area on the first Saturday of the month. We have been meeting once a month for over two years. We have an active base crowd close to ten people. Join us and learn how to garden in a mulch garden. Bring seeds if you wish to trade seeds you do not want or won’t have a chance to grow. As usual this event will start at 1 PM and I will be there until 4 PM, but you can come and go as you please. The event takes place at a private residence, so staying later will be up to the owners. The last hour will be for general preparedness questions. If you are interested in going please RSVP with me at the following email address. Halloween Weekend at Point Lookout State Park, Scottland Maryland! THIS IS NOT A PREPPER CONVENTION!!! Please ONLY make contact if you are interested in attending a gathering on the water of Southern Maryland to make connections with outdoor enthusiasts, hunters, water men and those who wish to exchange ideas about surviving on and off the land. If you specific questions about subjects not having to do with this post, please find another medium. A fee for the security of the land along the Potomac is required by the Park Service. What we are looking for at this time are people willing to share tents, transportation with attendees and/or the transportation of supplies. WE ARE NOT LOOKING FOR people who need guidance to another site, Conspiracy Theorists, Doomsday Preppers or people seeking to deprogram their children who at one time belonged to cults. WE are just looking for a bunch of people who want to spend time in the woods and plan our next adventure. This endeavor will only come to pass with the intention of GIVING, NOT TAKING. We are not an information source,! I will be in Stafford/N.Virginia on September 20-25 and again on November 20-27 this Fall. I quit my company job to focus on DIY solar electric and have very low cost alternatives to the usual pay and play equipment. I have a workshop in Fredericksburg and another in Japan (where I am building out microgrids and providing DIY kits for solar electric). If you have any interest in DIY Solar Electric please contact me and I will set up something in Stafford County or even another location of your choice. Let’s get moving on our energy self sufficiency and resilience! Just a reminder that our monthly Prep meeting is coming up on Saturday, July 30 from 11 am to approx. 2 pm …. Mt Hope Church, 3417 E Grand River, Williamston. Church located between Williamston and Webberville. Cross Road is Dietz Road. I had sent a previous email stating Teri from www.glutenfreeemergencykits.com would be here to demo product and sell product. I was trying to drum up pre orders to save shipping charges for everyone, but only one person responded regarding ordering. She will not be able to come to this meeting, but I am hoping we can host her in the future. Check out her website though…. Kaz from www.Kazvswild.com is planning to come to share about his business. He was as the Mason Preparedness show. He will go over some Bushcraft training with us and tell about his upcoming events. Central Indiana preppers: I don’t think many of us have actually gotten together, some want to and feel time is running out with ongoing crisis, and tensions high. I propose that we meet next Sunday, July 24, at Morrows Meadow in Yorktown Indiana at 1500. This is a public park. This will be a meet and greet, getting to know each other and share ideas. If you have specific questions or ideas you wish to discuss, please share that as well. Don’t forget about the preparedness meeting on Sat, April 30 at 11AM, same place….See my previous post for more info about that meeting. Our next prep meeting is Saturday, April 30, 2016 at Mt. Hope Church, 3417 E Grand River, Williamston, MI. Church located between Williamston and Webberville. Start at 11 AM to 2PM. Lunch is provided…We always have some kind of prepper food…taste test various freeze dried foods, home canned foods, fresh garden foods etc…FREE meeting. Family Friendly! All are welcome! Here’s the line up for this meeting…. We have a former mil guy that will go over knives…how to pick right knife for your b.o.b. How to sharpen knife, differences between knives. We have an RN that will share medical info…This class will focus on How to wrap sprains and broken limbs properly and differences between the rubbing alcohols and their uses. We have a rep that will demonstrate how the rolling garden container works and its benefits. We have several in group that share gardening tips. We have a maple tree farmer in the group that will explain process for making maple syrup. We have a guy that will do product reviews on gun parts. This class will focus on a particular scope. We are in process of organizing a ccw class, should be able to announce date for May class at mtg. We will discuss home canning and food storage as well. There is always other discussion that goes on about various topics. 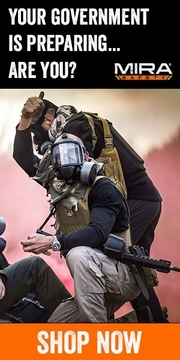 This is great place to connect with other like minded preppers. Please RSVP by responding to this message or private message thru here. We just want to make sure we have enough hand outs and food for everyone! Thanks….Thrive On! Great place to practice your bartering skills! TruPrep is inviting you guys in Georgia out to our annual party on April 9th from 1100-1500. Our location is 1000 Cobb Parkway N, Marietta GA 30062. We will have lots of vendors, giveaways and food will be available at the event. Contact us at 678. 667.2715 and ask for Wes. Our next meeting is Saturday, March 12, 2016 at 11 AM to approx 2 PM at Mt. Hope Church, 3417 E. Grand River, Williamston, MI. Suburbs of East Lansing area. Church located between Williamston and Webberville. Light Lunch provided. All are welcome. Free to participate. We will host an essential oils consultant that will explain the benefits and various uses. We will discuss what to pack in a bug out bag and actually pack one in the class. We will give various reasons why you and each person in your family needs a b.o.b. packed and ready to go. Our nurse will go over various medical training and also teach on square foot gardening. After the class we will have a field trip over to a maple tree “farm” and learn how maple syrup is extracted and made. One of our members will give us a tour of the farm and explain the process. We had 16 people at our feb mtg…thanks to all who came out. We are always looking for people to teach on various preparedness/survival topics. Come out and join the fun. We do not have a doom and gloom outlook on the times we are living in….rather a survive and thrive mentality. Remember…YOU are here at this point in time for a reason and a purpose…YOU GET TO watch history being made and be a part of an exciting time in history…so come on out and get on with it. All of the training, supplies, equipment, and practical applications you need to put your plan into action, at one location. Topics range from long term water and food storage to personal safety…..before, during, and after any survival situation. On April 30th, 2016, we will bring the community together for Southern Maryland PrepCon. The event will be in St. Leonard, Maryand at Crossroad Christian Church, located at 150 Ball Road. It will be an informative and educational seminar to discuss the potential hazards that are unique to our area. We want to bridge the gap between the community, faith based organizations, and government agencies, understanding that each have individual and very specific roles and responsibilities “when” events such as natural disasters, regional emergencies, etc. occur. This conference will bring awareness to Local and State Government, Private Industry, Religious Organizations, and Individual roles and responsibilities are, or can be, in the event of a natural or man made disaster. Each entity can only stretch their resources so far. We want to promote understanding that we can, and should, work together for the sake of the community. Last year’s show was a huge success. It’s not a question of IF….it’s a question of WHEN! Emergencies will happen. Nobody can predict when or where these emergencies may occur. Natural disasters, accidents, disease, and civil unrest all contribute to the probability of experiencing a survival situation…..and these threats increase every year. The only way to maximize the chance of survival in these situations is to be prepared. Preparation is the key to overcoming fear. All our welcome, but please keep in mind that we are meeting at a church, most are church attendees, therefore we do acknowledge God and what the Bible says about preparing for hard times etc…If you are aetheist or whatever, we don’t care, Just don’t try and debate our beliefs. They aren’t up for debate. Just come and learn. Next meeting is Saturday, Feb 20, 2016 at 11 am to 2 pm…light lunch is provided. Please rsvp ahead by contacting me thru here. We have an RN that will cover first aid and herb info. 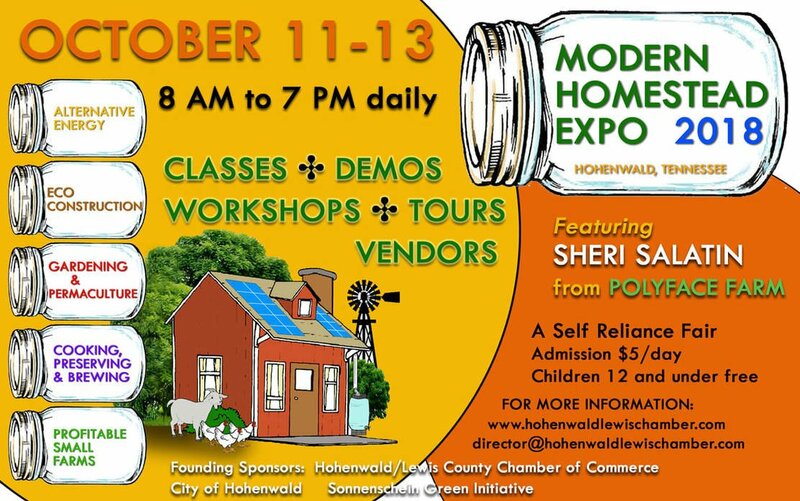 Gardening tips will be shared and there will be a demo from a Norwex consultant on cleaning products. church is between Williamston and Webberville…suburbs of Lansing.